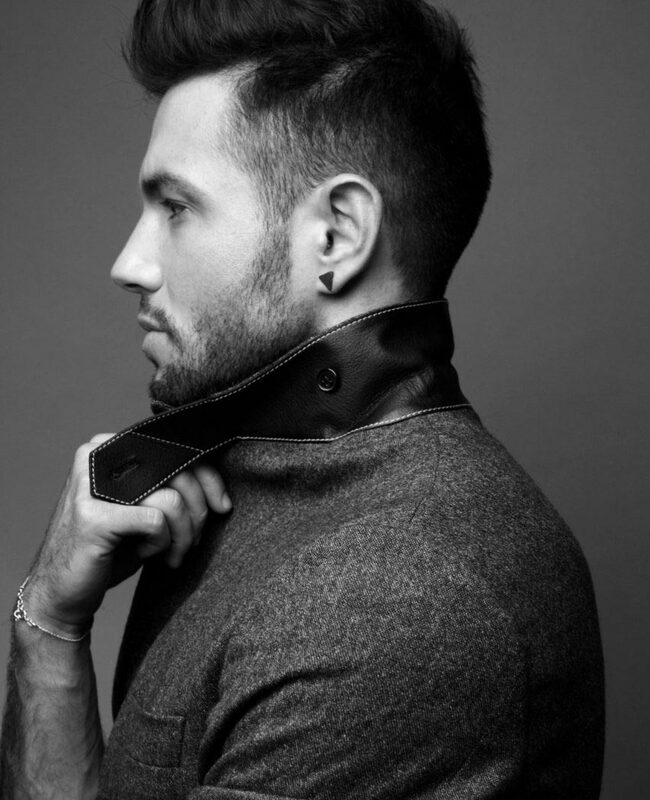 Let’s just say it: It’s really easy to go wrong when it comes to men’s jewelry. There’s a fine line between sporting a statement necklace and looking like 2 Chainz, or wearing a ring and looking like the Godfather. Much like when you’re wearing anything else, the key to wearing jewelry is to do so nonchalantly. 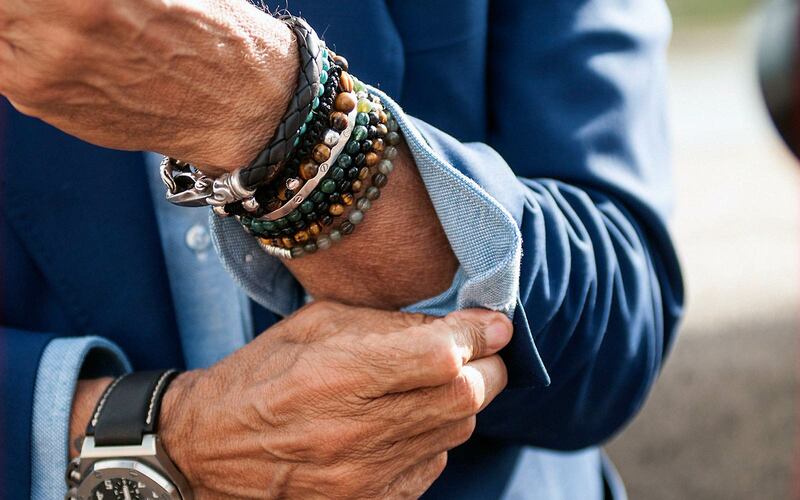 When we say “men’s jewelry,” we’re talking about all add-on accessories after your outfit: watches, bracelets, rings, tie bars, necklaces, cufflinks, and earrings. Should you be wearing all of the aforementioned items at once? Probably not. Well, at least not at first. However, in time and with the right amount of confidence, you’ll be able to wear what you want, how you want to. A watch is one of the best places to start when it comes to wearing jewelry, because it’s so common. A watch is a status symbol. A proper watch is simultaneously functional and classy, so keeping it proportional to your wrist size will work best. 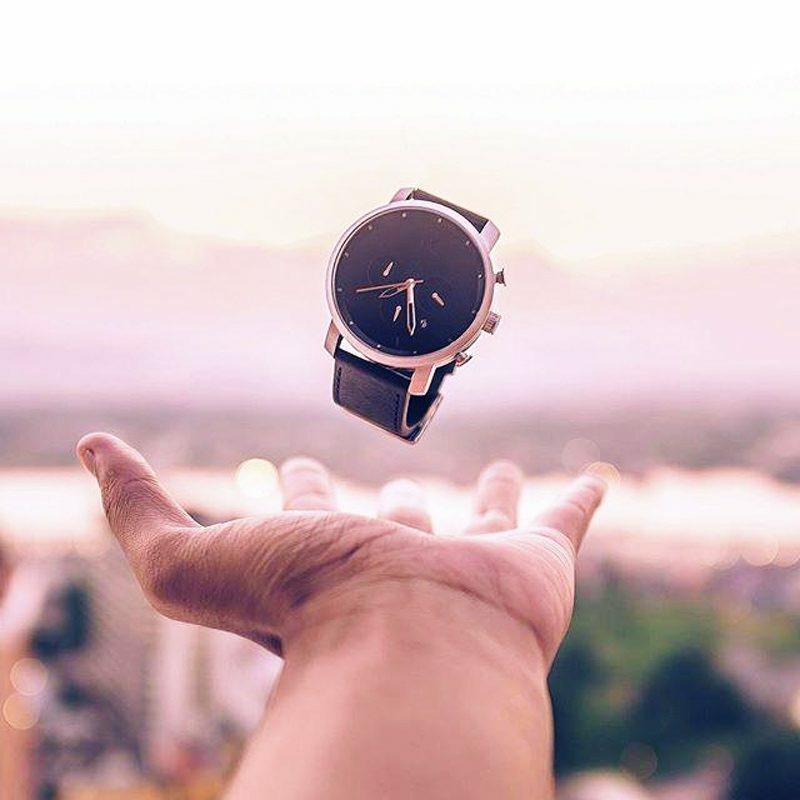 A watch with a leather strap will be perfectly suited for any occasion be it casual or formal, while a metal band will work best for strictly formal events. Because they’re small and easily stackable, it’s pretty easy to go overboard with bracelets. When it comes to these guys, less is more. The type of bracelet(s) you wear should mind your watch. After all, your hands are a pair, so they’ll be seen in conjunction with each other, including the accessories on them (sounds obvious but people often forget!). 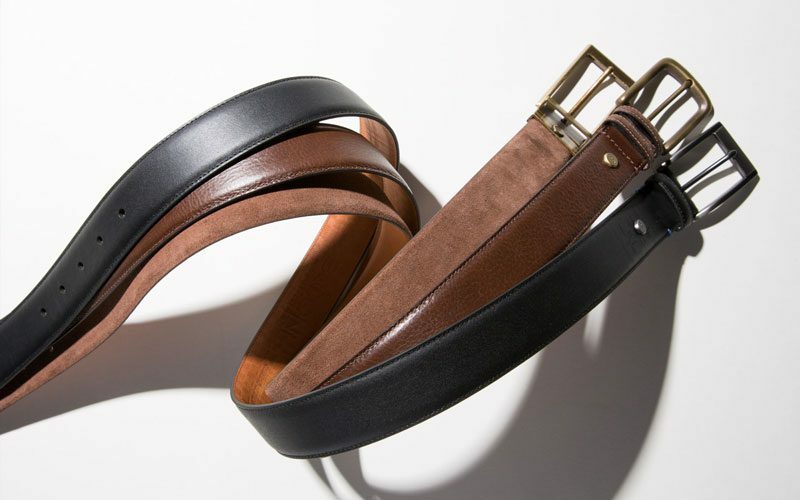 Leather or wooden bracelets will most often pair best with casual and business casual outfits. Working 2 or 3 of these more casual bracelets at the same time can be done easily, assuming the colors complement each other. Metals bracelets lie on the more formal end of the spectrum. Keep these to one at a time, and match them to your watch and any other metals on you. 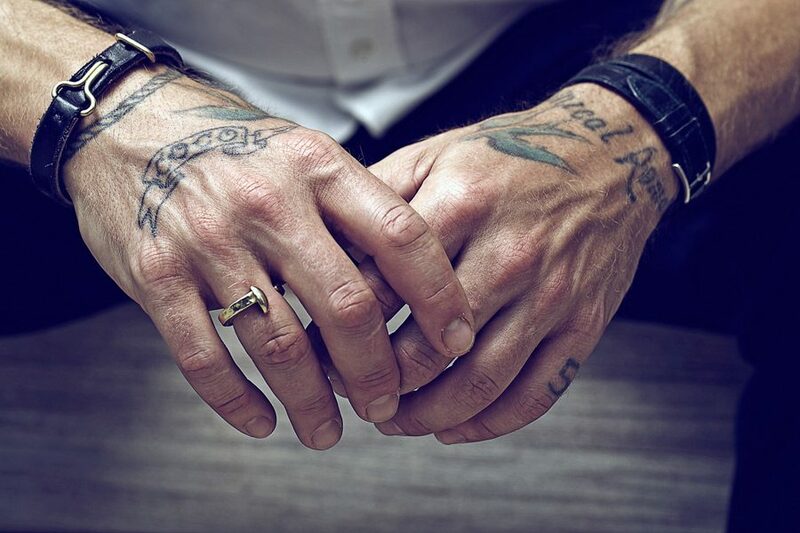 Traditionally, when someone thinks of rings on a man, a wedding band is the first thing that comes to mind. Rings can, however, serve ornamental purposes. That is, without going overboard on the number you wear. We advise 2 or 3 rings maximum, keeping in mind the potential implication of which finger the ring is worn on. In terms of design, the less bulk, the better. Most rings will be metal. It’s important to match your other metal accessories, such as necklaces, if you’re sporting others. For more casual options, consider a wooden or hybrid (wood and metal) ring. No one rocks a necklace bette than Mr. T. The reasoning? The man wears 50 pounds-worth and no one questions it. With that being said, we’d advise against wearing that many necklaces. Like any other accessory, a necklace should be a subtle accent to your personality and overall outfit. More often than not, it will be hidden behind your shirt. Anything more than 2 necklaces at a time will look excessive. Consider the rest of your outfit when wearing a necklace. If you’re gearing up for work, you might want to leave the hemp necklace at home. 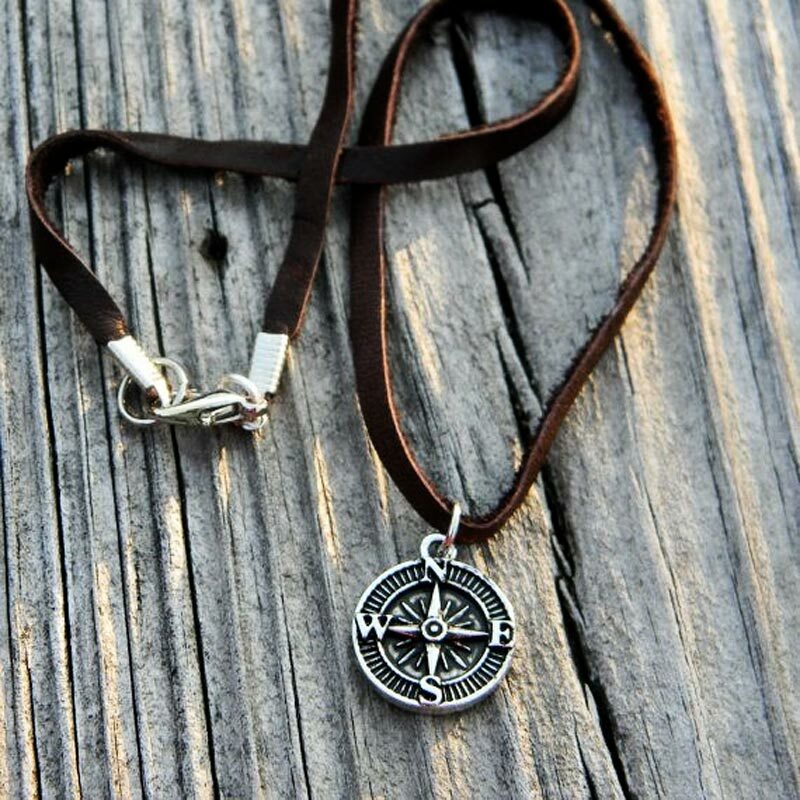 Metal necklaces, on the other hand, are more formal and perhaps more suited for the occasion. Short of being a professional athlete, earrings are arguably one of the hardest pieces of jewelry for man to pull off. Especially at the workplace. Tread lightly when it comes to these. Earrings can draw a lot of attention away from your face. With that in mind, keep them subtle if at all. If you’re in a more professional setting, make sure to check your employee handbook for the rules on wearing earrings in the office. 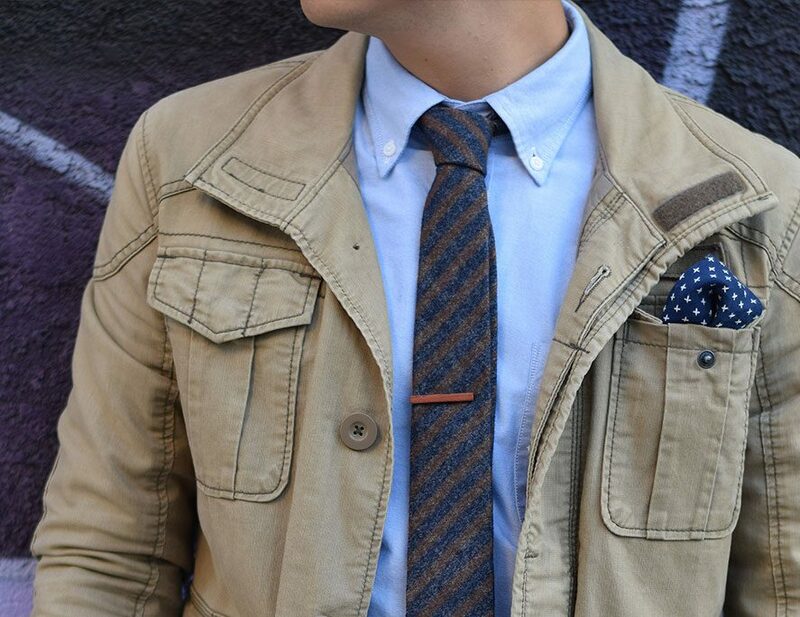 A tie bar is both functional and fashionable. We are big proponents of it. On top of being a great accent piece, a tie bar will keep your tie in place and stop it from wandering into your meal, among other places. When using one, keep in mind proper placement and width. 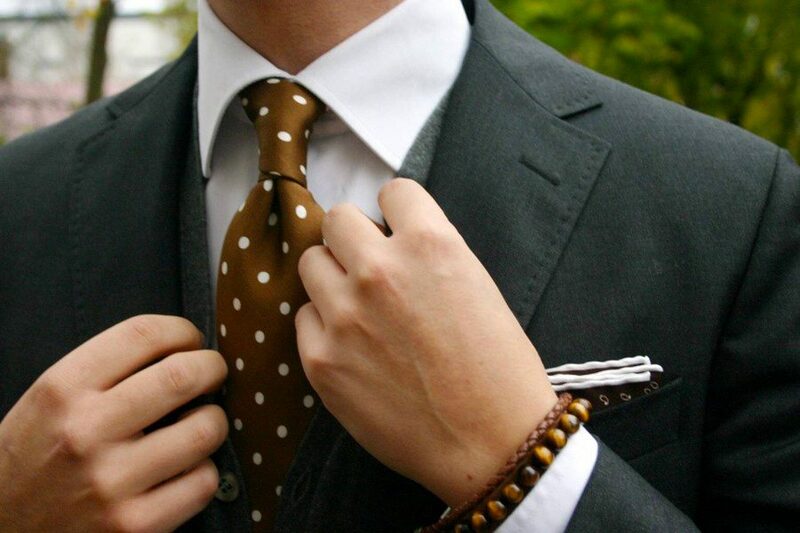 Proper placement is between the 3rd and 4th shirt button, while a proper width will be about half the width of the tie. Though some people will say that wearing a tie bar with a jacket is redundant, we’d argue that it is still aesthetically pleasing. Cufflinks are usually reserved for the most formal occasions. They require a shirt with French cuffs, and are pretty hard to find unless you’re shopping online. Like with any other metal accessory, these look best when they are matched to other metals you’re wearing. 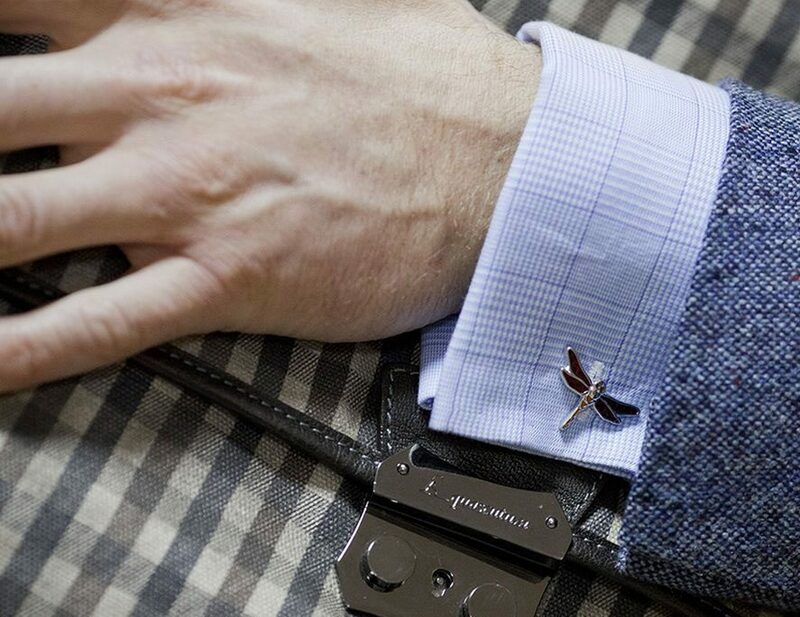 Because cufflinks are being worn less and less, they can be an easy way to stand out from the crowd, though you’ll only want to sport them along with a suit (never without!). You can go the more formal route with a smaller, understated pair. Or, add more personality with a pair of novelty cufflinks. Any piece of jewelry, when worn properly, can be a great complement to your outfit. 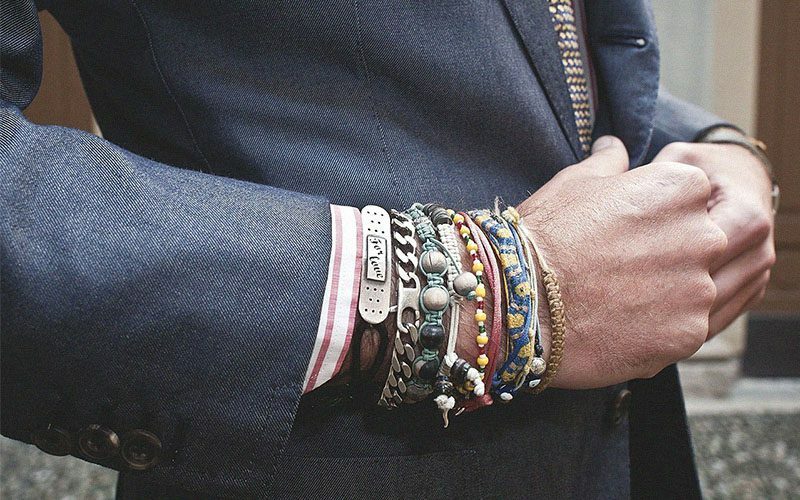 A good thing to remember when accessorizing is that less is more. Understated pieces will do a lot more for your outfit that any piece of “bling” will ever do. Your goal is to complete your outfit, not distract from it. Keep these tips in mind, and you’ll be fine. Good luck, gentlemen. Can a diamond can be a man's best friend?